Is Copyright Term Extension Finally Done? Artwork by Christopher Dombres. CC0/Public Domain. Today’s topic for Copyright Week is Public Domain and Creativity: Copyright policy should encourage creativity, not hamper it. Excessive copyright terms inhibit our ability to comment, criticize, and rework our common culture. Copyright always builds upon the past. The public domain is our shared cultural commons, a near limitless trove of creativity that’s been reused, remixed, and reimagined over centuries to create new works of art and science. The value of the public domain is impossible to overestimate. Contemporary copyright policy should strive to promote, and not diminish, a robust, accessible public domain. From a legal perspective, the public domain is the space where no intellectual property rights exist. This means that works in the public domain may be used without any restrictions whatsoever. Works enter into the public domain in different ways. 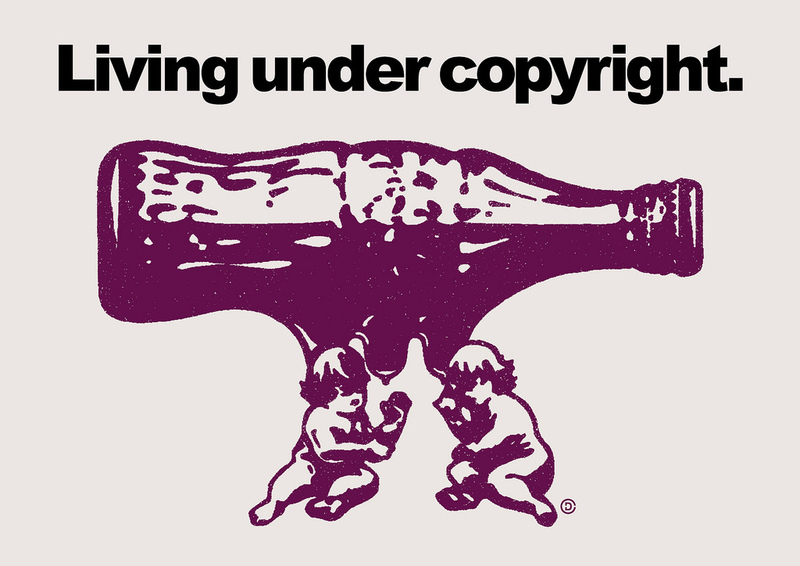 First, works whose copyrights have expired are in the public domain. In the United States, the length of the term of copyright is life of the author plus an additional 70 years. So, these old works (at least those published before 1923) are in the public domain. Second, works can enter the public domain if authors put them there before the copyright expires. This is made possible by using the CC0 Public Domain Dedication. This tool allows anyone to waive their copyright and place a work directly into the global public domain—prior to the expiration of copyright. Third, some works are in the public domain because they were never subject to copyright protection in the first place. Things like facts and ideas are in the public domain—they cannot be copyrighted. One common criticism of copyright policy are the incredibly long copyright terms—that is, the length which creators are granted an exclusive monopoly over how their works are used. It didn’t always used to be this way. When the U.S. passed its copyright act in 1790, the term was set at 14 years (with the possibility of another 14-year renewal). But slow since that time, copyright terms have increased in duration, and pretty much solidified at the international minimum term of life of the author + 50 years through the widespread adoption of the Berne Convention. So what’s the current thinking regarding copyright terms around the world? To be sure, most of the damage has already been done. Due to international treaties like the Berne Convention and the development of entities like the World Trade Organisation, for most of the world, copyright law is quite similar, with copyright terms set typically at the life of the author + 50 years. But how are some countries approaching copyright term within their domestic copyright reviews? We just learned that Australia is closing a loophole that in the past arguably would have permitted a perpetual copyright on unpublished works. How is the issue being handled within other mechanisms for copyright policy making, such as bilateral and multinational trade negotiations? The situation is a bit of a mixed bag. While originally the Trans-Pacific Partnership called for a 20 year copyright term extension (for countries that do not already have a life + 70 term), once the U.S. pulled out of the treaty and the remaining member countries restarted negotiations, many of the more problematic copyright provisions (like the 20 year term extension) were suspended from future talks. The EU-Mercosur trade agreement is another interesting case. Based upon a November 2016 draft of the intellectual property chapter, we criticized the suggestion for a 20 year term extension for countries that don’t already have a life + 70 term. A more recent text provides a bit more detail, making it clear that the EU is pushing for the increase, while the Mercosur nations prefer the international baseline of life + 50. The Mercosur bloc also suggested the addition of text that would promote collaboration between the member nations in “preserv[ing] a robust, rich, and accessible public domain,” and “cooperat[ing] with each other in identifying subject matters that have fallen in to the public domain.” The EU proposed text merely calls for a joint recognition of the “importance of the public domain.” But activists from the Mercosur nations are rightly concerned that any minor improvement regarding access to and preservation of the public domain should not come at the expense of forcing Mercosur countries into adopting a more restrictive copyright environment across the board. The turn of the tide: what happened? Copyright policy making is subject to the same political machinations of most other legal, social, and cultural issues whose outcomes are the result of a struggle of power between competing interests. And for too long, the incumbent power in the copyright space laid with the gatekeepers of popular content—oftentimes corporations and their industry associations with deep ties to the politicians steering law and regulation around copyright (there’s a reason the 1998 Copyright Term Extension Act also was called the “Mickey Mouse Protection Act”). So what’s changed now? Why aren’t we seeing these companies and their lobbying groups continue to pursue copyright term extensions? Why doesn’t copyright last “forever minus a day”? As a recent ArsTechnica article argues, “the rise of the Internet has totally changed the political landscape on copyright issues.” When the Stop Online Piracy Act (SOPA) was introduced in 2011, major websites like Wikipedia went dark to protest the potential negative effects of the legislation. Millions of people protested online and via social media. Essentially, the public didn’t let it happen. Policy making can be incredibly complex, and it’s difficult to ascribe a single reason why a particular piece of legislation comes out as it does. But one incredibly significant change we’ve seen over the last several years: new (and better organized) communities of users pushing for a free and open internet are making their voices heard in the political sphere. The term of copyright is still far too long; life of the author + 50 years is nothing to write home about. But the simple fact is that there are communities of people who wish to work for a more fair copyright—and fight for better access to knowledge, fast and reliable technology and connectivity, and a robust shared public domain. This mobilization should be continued and strengthened so creators, users, and the public interest can begin to take back the levers of policy to create a balanced copyright that truly rewards creators, and upholds the rights of users to access, reuse, and further contribute to our knowledge and creative commons.